Zoleka Mandela spoke out at a road safety event in KwaZulu-Natal yesterday about the pain of losing her 13-year-old child, Zenani, in a car accident. “No one should have to suffer as we have done. This can all be prevented. We all know that,” said the granddaughter of former president Nelson Mandela. The event was also attended by Zoleka Mandela’s brother, Zondwa. It served to honour the latest recipient of the Zenani Mandela Road Safety Scholarship Certificate and Road Safety Initiative. 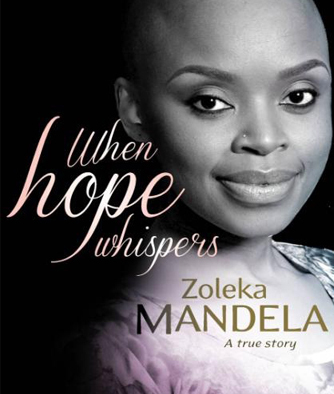 The initiative was started three years ago in honour of Zoleka’s daughter, Zenani, who died in a car accident in 2010. The 13-year-old was on her way home after attending an opening concert of the 2010 Fifa World Cup when the accident occurred. The programme forms part of the United Nations Decade of Action for Road Safety to reduce and stabilise road carnage. Through it, one South African is chosen each year to spend about two weeks in London, where they participate in the UN Road Safety Programme. At the event in Umlazi, KwaZulu-Natal, Deputy Minister of Transport Sindisiwe Chikunga painted a grim picture of road deaths in South Africa. If the trend in road fatalities continues, road crashes are predicted to become the leading cause of death by the year 2020. About 40 road deaths occur daily in South Africa. Most crashes happen on weekends, particularly on Saturdays. This translates to about 1 000 deaths per week and 14 000 each year, while at least R306 billion is lost to the economy because of road fatalities each year. In her speech, Chikunga said the purpose of the scholarship is to offer young South Africans an opportunity to learn with and from other talented professionals from around the world. She added that the common aim is that they improve the state of road safety in their communities and home countries. Prior to the start of the formal programme, road blocks were conducted for cars coming in and out Umlazi. Speaking to journalists during the road block in the morning, Chikinga said she believed the road accident problem was stabilising. However, she said the “attitude” towards officers trying to implement road safety laws was something that needed to change. She said some of the taxi commuters who were encouraged to put on their safety belts got annoyed with the officials.